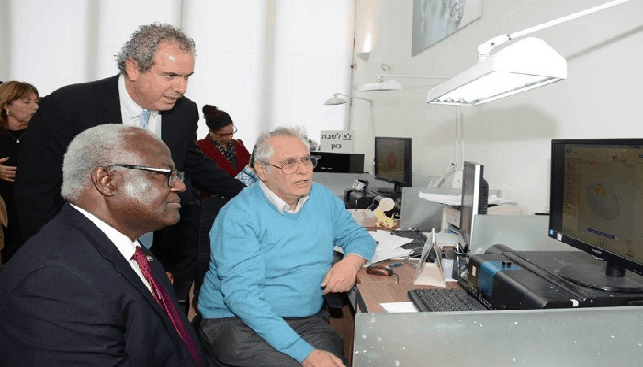 President of Sierra Leone Ernest Bai Koroma arrived at the Israel Diamond Exchange (IDE) last Thursday (January 12) and met with IDE President Yoram Dvash and Board members. 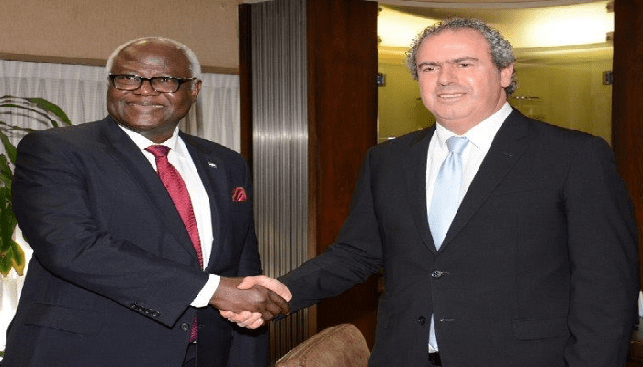 Koroma was accompanied by several Ministers from his government and a team from the Israeli Ministry of Foreign Affairs, headed by Israeli ambassador to Sierra Leone Paul Hirschson. The visit began with a ceremony held in Koroma’s honor in the bourse’s meeting room, officiated by Managing Director IDE Eli Avidar. President Koroma thanked Dvash for his hospitality and said: “We’re happy to be here today. When you invited us back in 2008 I was just elected, and was sadly unable to come. The diamonds of Sierra Leone are God’s gift to our country, and we are happy to have such good business partners. Sierra Leone has had its struggles, but we have emerged stronger, we are now full KP members, and the diamond trade is going smoothly”. President Koroma added: “There are many exploration opportunities for diamond miners in our country. Even though the alluvial diamond deposits are shrinking, there are still diamonds in kimberlite pipes which could be mined. We want to continue to be active in the global diamond industry, and we’ll continue to make sure that investors get good return on their investments, as long as Sierra Leone get its share as well, naturally. We want to create a situation where everybody profits. We have come here to promote and build a strong basis for cooperation with Israel in all business areas”. Israeli ambassador to Sierra Leone Paul Hirschson said: “There are many business opportunities in Sierra Leone. Its capital, Freetown, is a pleasant town and safe for business. Our embassy is ready and able to assist in every endeavor”. After the ceremony, the delegation toured to bourse’s Trading Hall and the Technology Department.